In Tents Events is Chico's oldest and most experienced provider of tent rentals for weddings, corporate engagements, and music events. 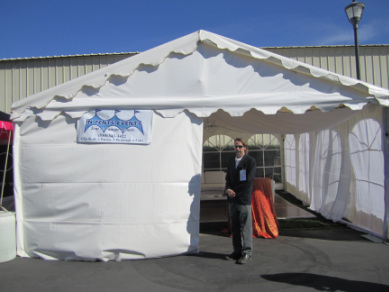 Founded by Gary Bergeron more than 20 years ago, the paramount concern of In Tents Events has always been to achieve complete customer satisfaction, for any event, no matter how big, small or complex. At In Tents Events we pride ourselves on customer service. Having successfully completed over 3,000 events, we understand the details that are important to the most demanding clients, and we have the experience to deliver an outstanding event at a competitive price every time. We welcome the opportunity to provide you with excellent customer service at your next event!